A new play from the author of . 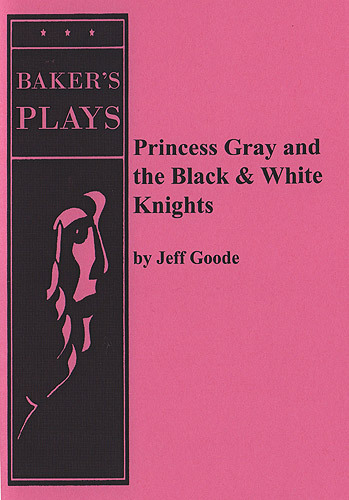 The White Knight and the Black Knight go to war for the love of Princess Gray. Will the hapless peasants of three war-torn nations survive their fairytale romance? This absurd play holds within it a lesson of tolerance and cooperation. A modern day storyteller offers an hilariously exasperated narration as the White Knight runs amok, making everyone's lives much more complicated than they need to be.